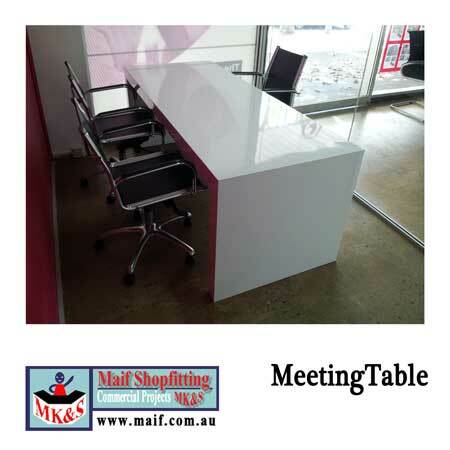 Meeting table for boardroom or meeting room. 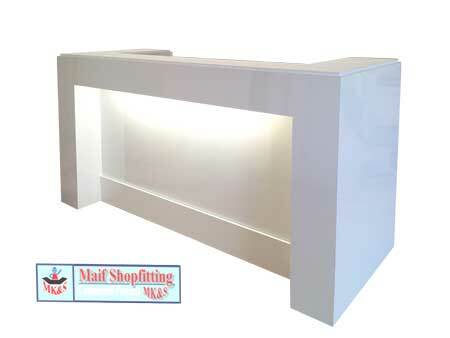 This table matches our Tonnille style counter. The meeting room in this real estate had a glass partition. 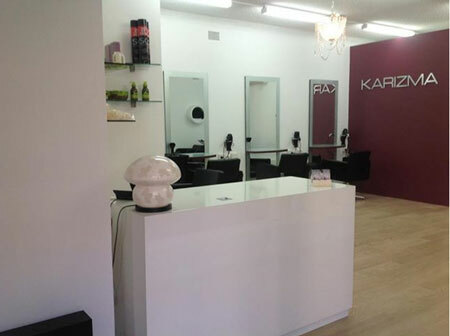 The overall effect presented as a harmonious design. 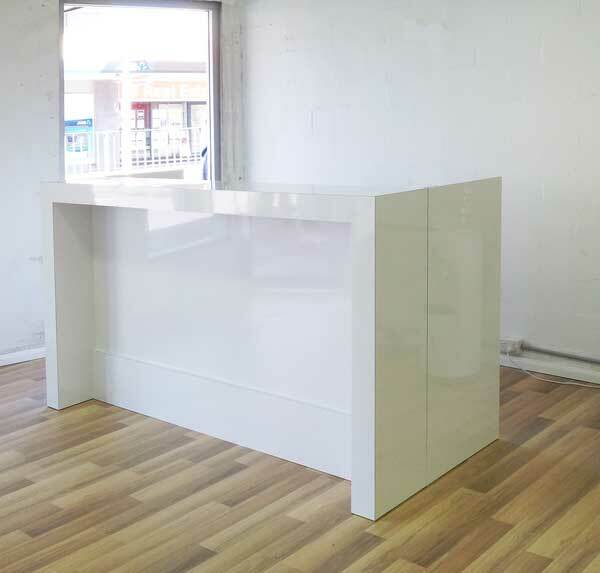 This new reception counter went into an estate agents office. 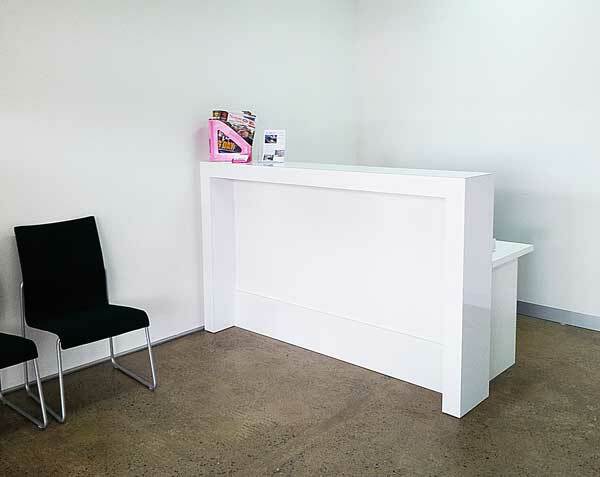 The reception counter is white and sits on a polished concrete floor. 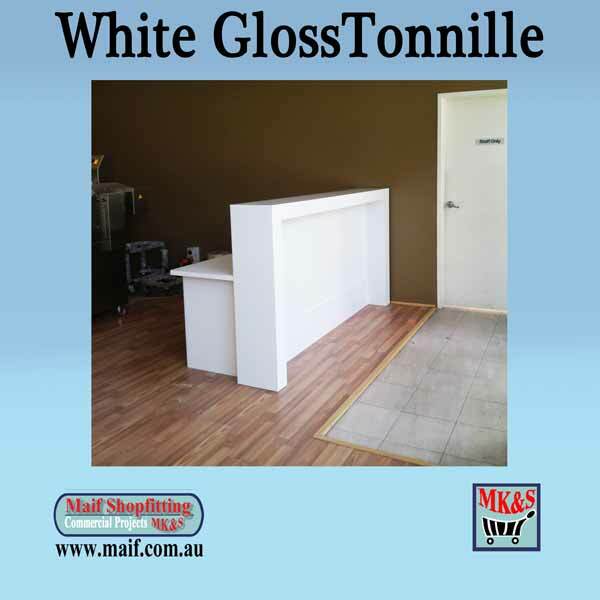 The white gloss laminate finish blends easily with any office or shop The front center panel is easy to apply branding to. They also needed a meeting table for the meeting room so salespersons could sit and discuss prospects. 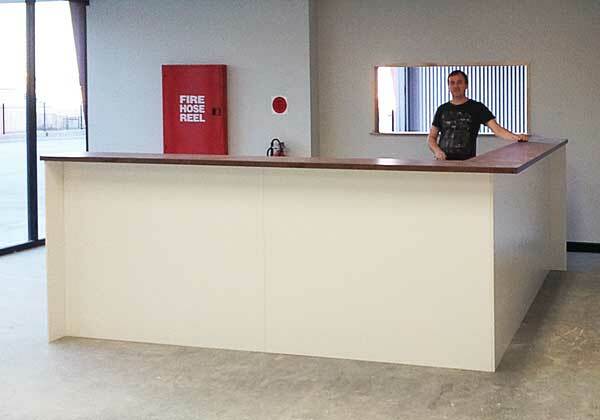 The counter and the desk present a integrated theme creating a well balanced client presentation.